Lash Caps — Victory 1 Performance, Inc. Many caps available on the shelf - or made to order. 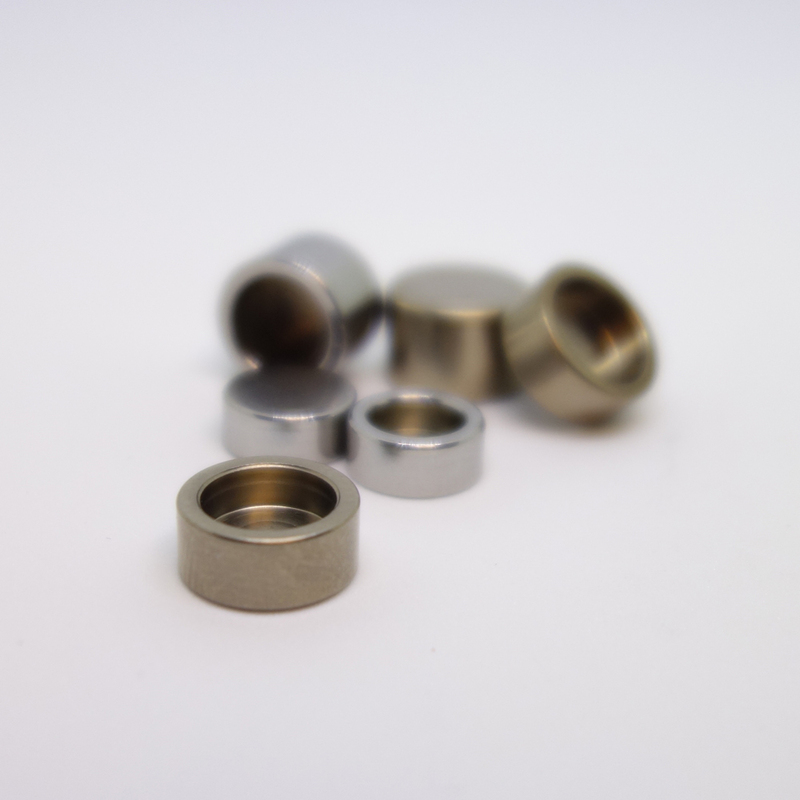 Our lash caps are machined on dedicated swiss-type cnc machining centers for the ultimate fit, part after part. We use exclusive material and heat treatment techniques to manufacture the very best lash cap available today! - Ground Tops, straightness guaranteed. - The ultimate lash cap available. - 59 Rockwell C Hardness, Will not crack, or break. Victory stocks lash caps of all sizes, in ultimate vacuum fit, and press fit tolerances on request. Our lash caps are used by many top teams and engine builders. Professionals rely on our exclusive cap to promote valve life, and minimize wear. If you do not see a certain size or thickness let us know, We can manufacture lash caps to your specifications in a timely manner. Fill out the form below to inquire about our Lash caps!